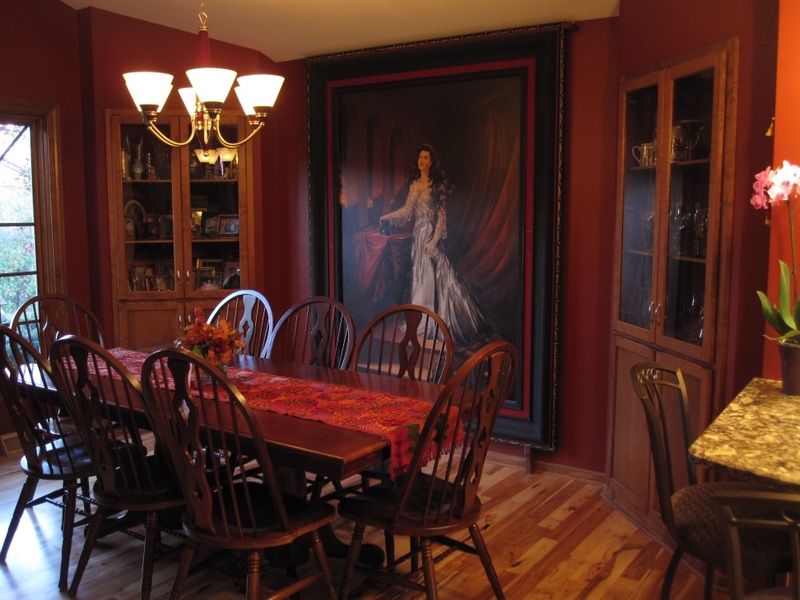 Remodeling their dated and dark kitchen and dining rooms was a long time dream for these clients. When the time was finally right to make the changes, there were many things that they wanted done. 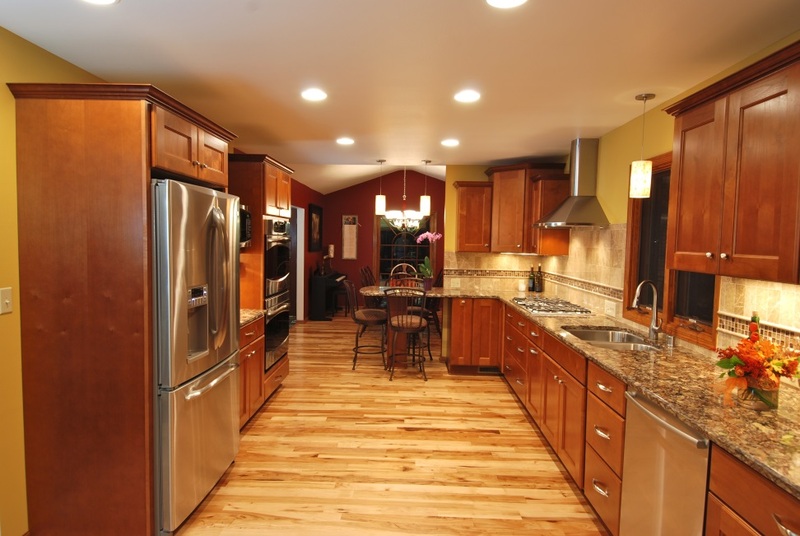 More cabinets, expanded counter space, more natural light, a peninsula with seating, appliances that would be a pleasure to use and a more open concept were all on the the list. They also wanted to incorporate the built-in hutches in the dining room into the plan. During the design phase, we worked with the clients to prioritize their wish list so that we could stay within budget while still meeting their expectations. 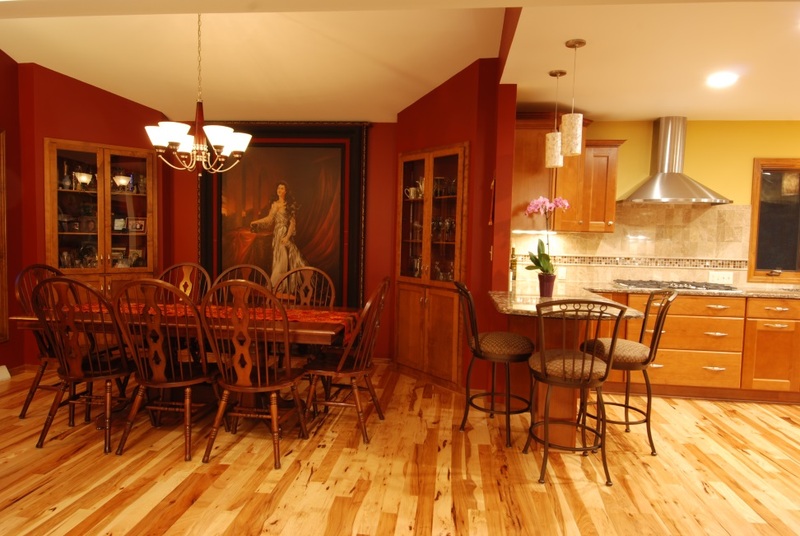 Materials were picked that gave the visual effects the clients were looking for while remaining durable for years. A weight bearing wall was re-engineered with newer materials to open the space up while retaining the structural soundness of the house. Small windows were replaced, in one case with a patio door, to really bring the outside in. 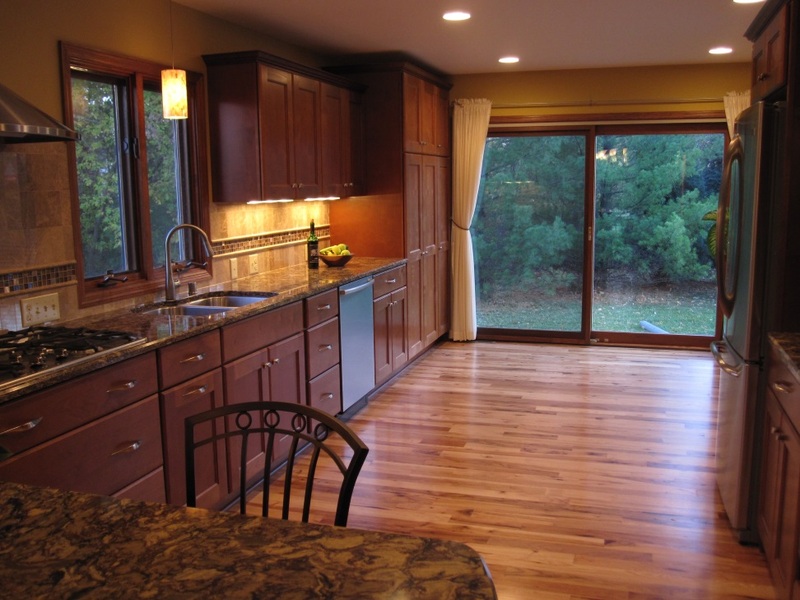 The homeowners are exceptionally happy with their new kitchen and dining area. They have all of the things in their kitchen that they had been dreaming about. They tell us that the reality of having such an open and attractive space has been even better than they anticipated. 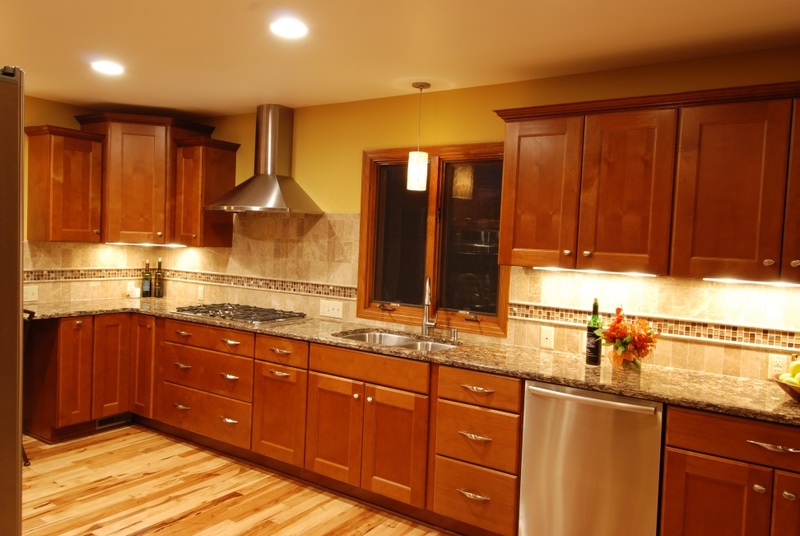 The added functionality that we helped them design into the kitchen brings even more enjoyment to living in their house. Reality in this case has exceeded the long time dream that our clients had.